The extent of racism in the following countries is captured in the Volta Index which aggregates various poles about racism, xenophobia and discrimination in various countries. A higher percentage of the index indicates a more racist country that is not suitable for people of African descent to live in. 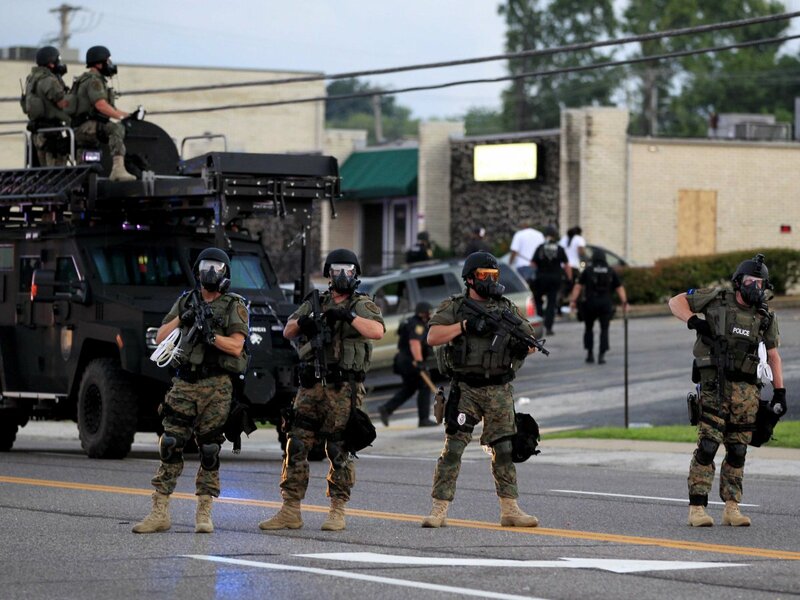 Police Reaction to Peaceful Protests in Ferguson, MO. after white Police Officer shots and kills Black boy, 12 times. The quotation “All men are created equal” has been called an “immortal declaration”, and “perhaps [the] single phrase” of the American Revolutionary period with the greatest “continuing importance”. Thomas Jefferson first used the phrase in the U.S. Declaration of Independence. It was thereafter quoted or incorporated into speeches by a wide array of substantial figures in American political and social life in the United States. The final form of the phrase was stylized by Benjamin Franklin. But that is only in theory. America is the land of free white people and the land of police murders of predominantly young African American men. The USA happens to be the land of some of the most racist people in the world, red necks and members of the Ku Klux Klan – a clandestine white supremacist group which seems to have infiltrated every aspect of government and administrative life in the USA for example the police department in Ferguson, MO, of which one of its police officers murdered a Black boy, Michael Brown, without probable cause and never faced an indictment. Such killings in the USA are an everyday affair. The picture we often see of the USA is through a rose-tinted glass of flowers and butterflies. But the actual situation is quite different. 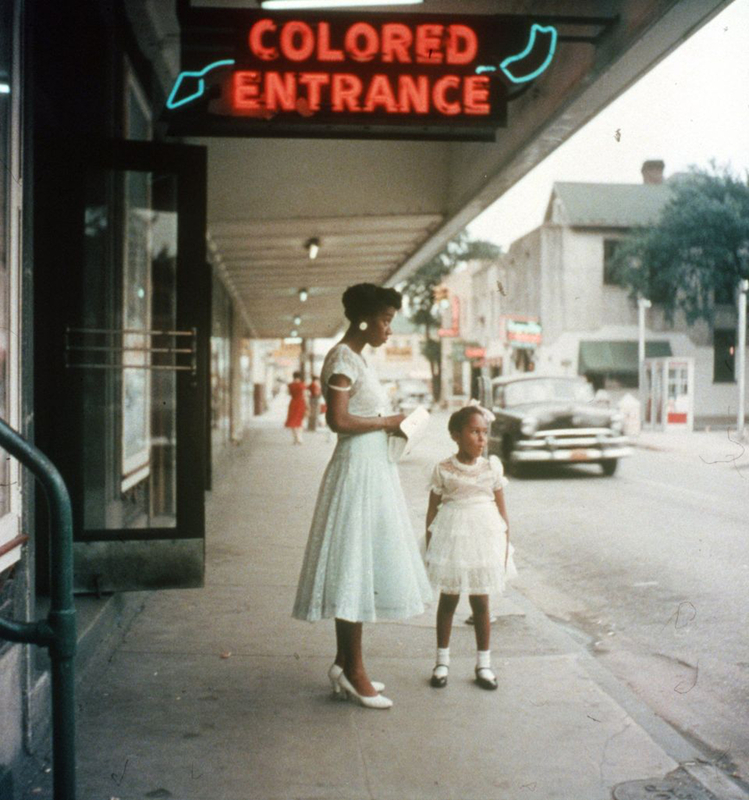 In the Deep South and Mid-West regions like Arizona, Missouri, Mississippi etc., racism is an everyday appetite be it against Asians, Africans, South Americans or even Native Americans. Cases of hate due to color of skin are ever-increasing now in the North East coast as well though the country has a sitting Black president – whose mother was white. 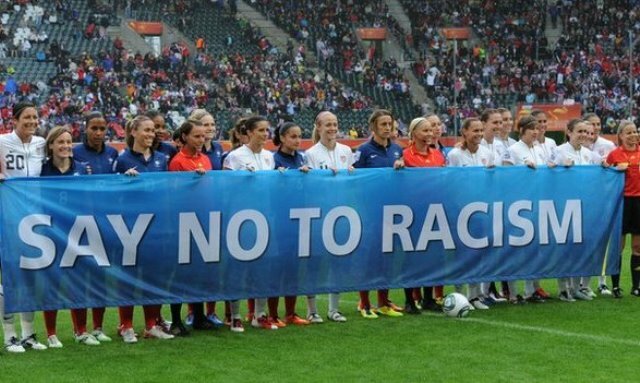 Even during soccer games in the UK, racist chants have become common place. The United Kingdom is one of the most racist countries in the world even today, especially racist towards people of African descent and what they call “Desi” people. This includes people hailing from the Indian subcontinent. Even today, the propaganda of any political party in the UK is based on issues surrounding African, Caribbean and Indian immigrants. French Africans continue to edge the French government to take constructive steps against racism. But France continues to be one of the most racist countries in the world by any definition of the term. It is extremely anti-Semitic as well. 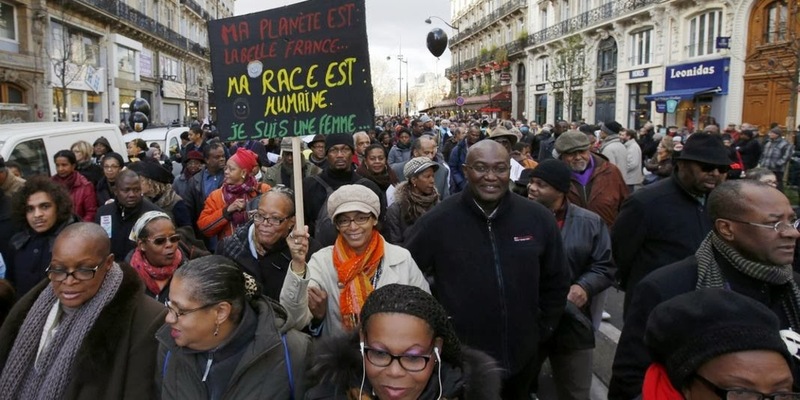 But to understand why France breeds an atmosphere suitable for the prosecution and oppression of people of African descent in France, one must contend with the question of how France intends to sustain its influence in Africa in the long term? Most of French wealth, if not all, and most of its speakers of the language, French, come from Africa, but this does not deter racist attitudes in France. Racism against the Ethiopian Jew in Israel has still not been addressed by the Israeli Government. Racism in Israel has been experienced by Israeli Arabs, of whom some are Black, and Ethiopian Jews, who are all Black. Though Israel has been quoted as having some broad anti-discrimination laws that prohibit discrimination by both government and nongovernment entities on the basis of race, religion, and political beliefs, racism continues to spread to extreme levels. Ethiopian Jews have faced discrimination for more than half a century and scholars suggest that the situation where Israel demands that Ethiopian Jews ‘become white’ is similar to that of some European immigrants like Poles and Italians who arrived in the United States in the late nineteenth and early twentieth centuries and were forced to classify themselves as white people. Racism against people of African descent could be linked to Zionism itself. 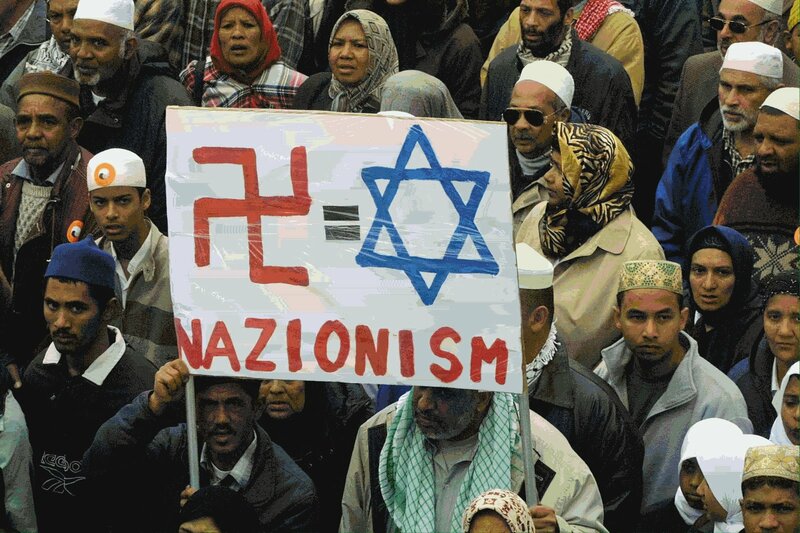 Some critics of Israel equate Zionism with racism, or describe Zionism itself as racist or discriminatory. In 1975, the United Nations General Assembly passed Resolution 3379, which concluded that “Zionism is a form of racism and racial discrimination.” However Israel has still not condemned it. Though Russian attitudes are changing, racism continues to remain strong. Even though Pushkin, the greatest authority of Russian literature and the greatest Russian poet, was of African descent, racism in Russia continues to rise and mainly in the form of negative attitudes and actions, sometimes violence, by Russians towards people who are not considered ethnically Russian. Traditionally, Russian racism included anti-Semitism, as well as hostility towards people of African descent and various ethnicities of Central Asia. The director of the Moscow Bureau for Human Rights, Alexander Brod, stated that surveys show xenophobia and other racist expressions are prevalent in 50 percent of Russians. In 2006, Amnesty International reported that racism in Russia was “out of control” and estimated the number of Russian neo-Nazis at around 85,000 in 2008. Neo-Nazis do not like Africans. But despite all this Russia is the second largest immigration receiver after the United States. Russia has also the second highest immigration rate in Eastern Europe after the Czech Republic while other European countries like Germany and Poland stay very homogeneous with lower openness for immigrants. Previous articleDarren Wilson Not Indicted—What Now? Next articleNo Trial For White Police Officer Who Killed Black Boy In The U.S. Truth be told, the happening in the US are a telling indicator that the US has still not changed much. The US Federal Government should be ashamed of itself. This is happening under their watch. One day people will watch the videos of white brutality and wonder how such people ever lived on the surface of mother earth. One day! How can anyone judge another race as being more hateful than the next. Everyone both exercises and is the target of prejudice several times over in life. It don’t change from one race to the next. The comment, ” one day people will see white brutality and wonder how such people ever lived on mother earth.”, is racist. You are clearly labeling the brutality to all white people. How are you any better when you have the same hatred in your heart. I don’t see how anyone can make such a list and not consider the racism and prejudice in their own eyes? I doubt Britain should be No.2 on this list of the most racist countries. I think it deserves the No.1 spot for its ruthless history especially in Africa! What happened to Belgium and their atrocities in the Congo? No, Gods people cannot be racist? Are you sure? God’s people? Who exactly are you referring to? Hopefully a significant number of white people will find it within themselves to speak out against the obvious racism. This is your time too, white people, if you want this story to reflect positively on your actions. What a shame, what a big fat shame that American is? I fail to understand why Germany is not included here? Perhaps Norway, Finland and Denmark should all make this mark as well. I have lived there, and they are a horrid revelation full of hypocrisy. America and Israel may be bad but whu, you have yet to meet the likes of China and Russia. Suffer me to say, this list is spot on.